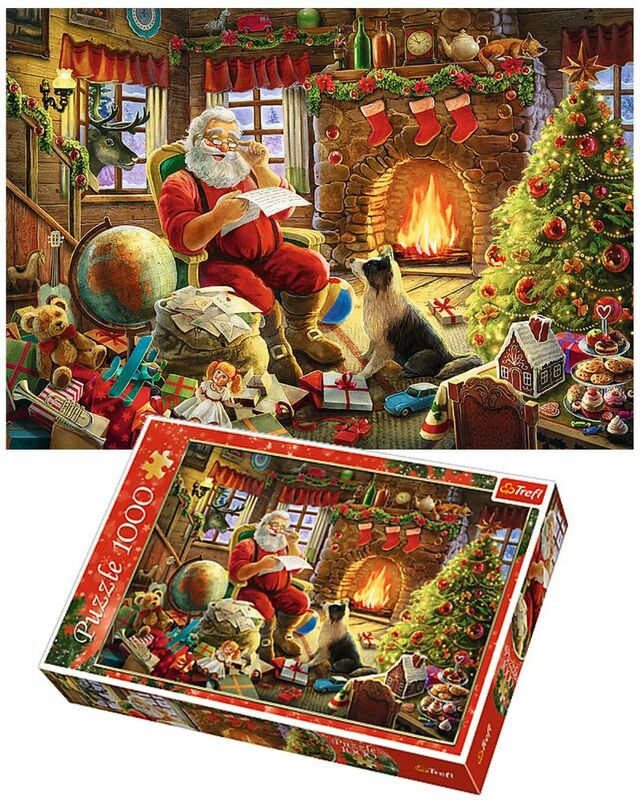 The Santa Resting by Fire Jigsaw is the perfect family activity leading up to Christmas. What better way to get everyone excited for Christmas by completing the 1000 piece jigsaw puzzle which pictures Santa resting by the fire. The jigsaw picture is high quality and beautifully finished, making it perfect for a gift for a friend or relative. The premium quality is achieved by using appropriate thick cardboard, a special non-reflective layer, and puzzle pieces’ perfect fitting. The dimensions the Santa Resting by Fire Jigsaw are 68.3cm x 48cm.